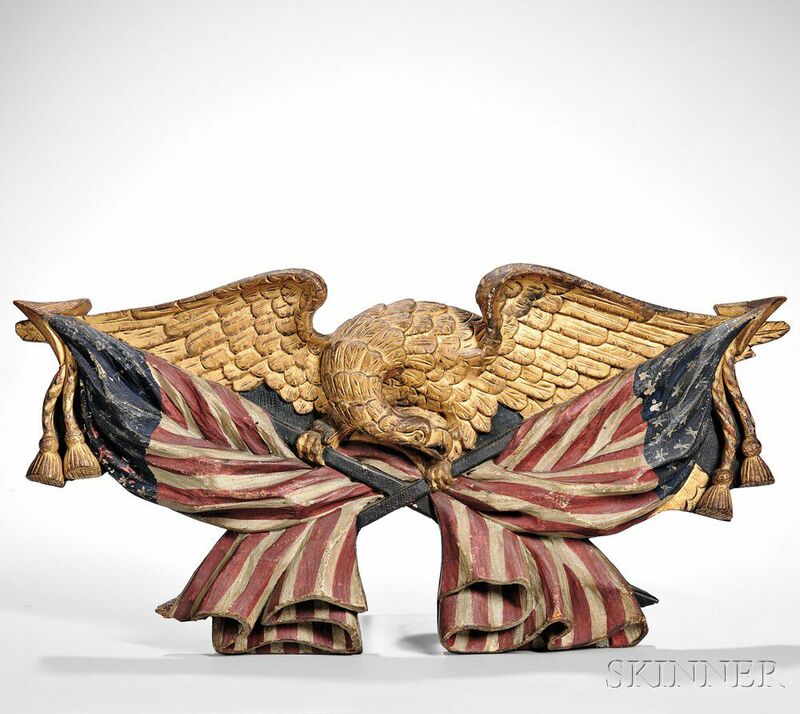 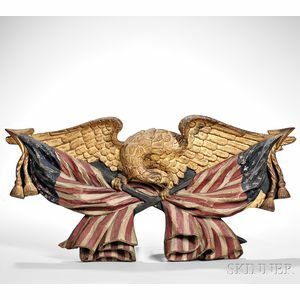 Carved Polychrome and Gilt Eagle Plaque, America, 19th century, the eagle clutching crossed arrows draped with tasseled American flags, lg. 24 1/2, ht. 12 in.